The installation is a visual depiction of worldwide hunger. The project consists of approximately 800 kilos of sliced bread, in different sizes and shapes, and treated individually with water-soluble acrylic polymer, stacked on each other, and displayed on a white platform, whose dimensions are 86 cm (H) x 7.5 meters(W) x 4 metres(D) (2.11 x 24.8 x 13.2 feet) In areas of affluence the stacks are higher, whereas in poverty-stricken countries, fewer slices are piled. 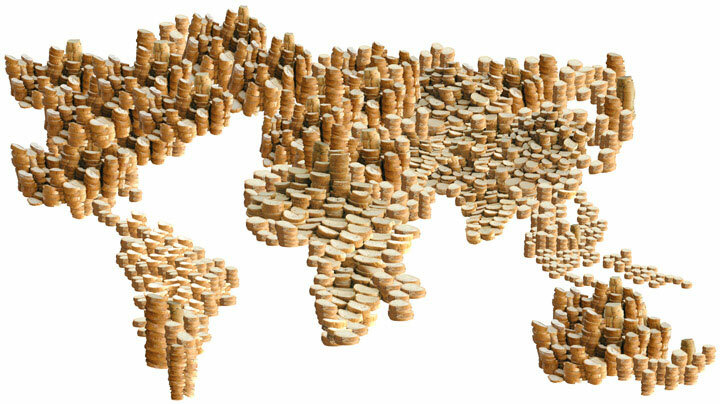 The asymmetrical distribution of bread around the world is envisaged in the form of this project.